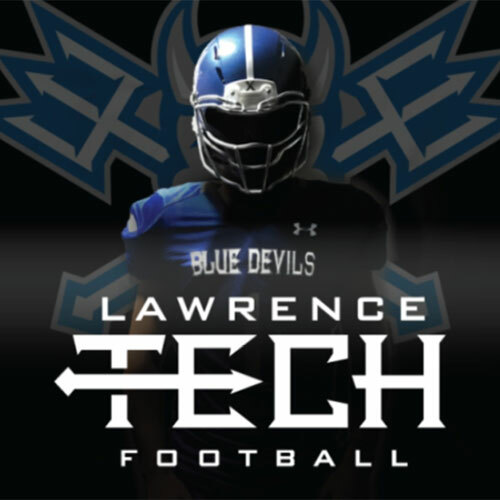 Lawrence Technological University will return to the gridiron for the first time in 72 years on Saturday, September 1, when LTU’s new football team takes on Oakland University’s club team. LTU’s 2018 schedule features four home games that will be played on-campus in Southfield at the LTU Athletic Field, along 10 Mile Road west of Evergreen Road. Following the Blue Devils’ opening rumble with the 2014 National Club Football Association Champions, the Golden Grizzlies, the Blue and White cross state lines for a trip to Milwaukee, Wis., to face off with Wisconsin Lutheran on Sept. 8. Season tickets to all four home games, plus the spring Blue vs. White game on April 22, are available for only $40 on LTUAthletics.com. In addition to access through the gate, season ticket holders will receive an exclusive gift from the Lawrence Tech football program. Current LTU students will have free admission to home games. Students wishing to purchase the season pass, however, will receive full ticket holder benefits as well as the official 2018 Blue Devil Football student section shirt. LTU will play a full schedule in the fall of 2019 as a member of the Mid- States Football Association of the NAIA.